DALLAS -- John Colligan, like many in the Dallas area, learned to play golf at L.B. 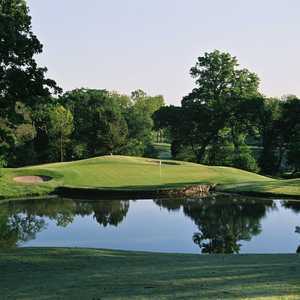 Houston Golf Course. So when he had the opportunity to renovate the course, it held a special place in his heart, but it presented a certain amount of pressure, too. The par-5 second hole at Luna Vista Golf Course is reachable in two for long hitters. "This is where my dad brought me out to teach me to play golf," said Colligan, whose company, Colligan Designs, had also renovated another Dallas muni, Stevens Park. "I hated to come out there and have this thing flop. From a pressure standpoint, making sure this was successful was very important." Success was no doubt achieved as the course reopened in October of 2012 with a new look and a new name. It's still part of L.B. Houston Park, but now the golf course is Luna Vista Golf Course, not L.B. Houston. It makes sense, of course, because this was not a restoration. Though it's not much longer than its 1969 Leon Howard/Dave Bennett-designed predecessor at just more than 6,800 yards, it hardly resembles the old. A couple of holes were changed entirely -- the third is now a par 3 and the fourth a par 4 to avoid hitting tee shots over a green -- and every hole looks brand new, mainly because the greens complexes were completely redone, a few bunkers were added and all were redesigned, and holes were reshaped to make them more strategic, scenic and playable. The golf course project, which totaled about $3.1 million, is a minor miracle, considering how it came about. The original project called for the greens to be resurfaced. They really needed to be blown up. Because the course sits on a flood plain, the previous greens simply rose out of the earth, presenting players with difficult table-top surfaces that lacked character and imagination. The drop-off from the greens and impending short-game shots were simply too difficult and probably unfair for most players. It also became obvious, Piersall said, that the course needed a new irrigation system as much as it did new greens. And it needed drainage, lots of drainage, so it got that, too. And while they were at it, they went back to the city and petitioned to redo the fairways, creating mounding and shape that would make the golf course much more playable. Lakes were brought in, greens were moved and holes were changed to create a golf course that "looked like it belonged there," Colligan said. 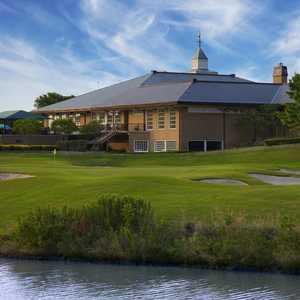 Now the course has interesting MiniVerde greens, white sand bunkers, re-sculpted fairways, better practice facilities, a teaching facility and a renovated clubhouse interior. More than 400 trees -- many of them Magnolias, as well as ornamental grasses -- were also added. Colligan Design also eliminated forced carries on four of the holes to make the course more user-friendly. The entire project took only seven months. And while Stevens Park was certainly successful, Luna Vista G.C. is completely different, Colligan said. There are no homes at Luna Vista and more land to work with. "We have a little longer and bolder golf course here," said Colligan, who collaborated with design associate Trey Kemp. Once again, the city of Dallas has produced another gem with the Luna Vista project. 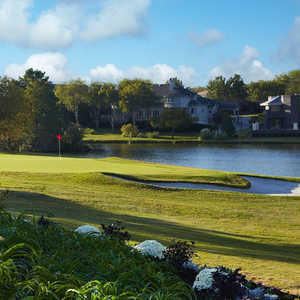 Like Stevens Park and Tenison Highlands before it, Dallas-area golfers have been presented with another terrific golf course at a bargain price. Green fees at Luna Vista are just $25 during the week and $30 on weekends, and the course rivals most quality daily fees and country clubs in the area. And if you're a senior ($14) or junior ($11), it's even more of a bargain. Cost aside, though, there is nothing boring or ordinary about Luna Vista. Conditioning upon reopening was outstanding, and by next spring, it should be exceptional. Where lakes were once hidden, they're now visible off the tee. Bunkers, though there are only 14, do a great job of framing holes and greens. And the gentle rolling nature of the course combined with greens that are now interesting, should make getting tee times a bit of a challenge for golfers. Played it a few weeks back and it couldn't have been nicer. I thought the greens were great, there's not a straight putt on the course. The layout is designed to avoid bottlenecks and move play along but still challenging. BTW, I like Riverside too...How long have you worked there? HeHe!